We Love Soaps: 'General Hospital' EP Frank Valentini Teases, "Who's the Real Jason?" 'General Hospital' EP Frank Valentini Teases, "Who's the Real Jason?" 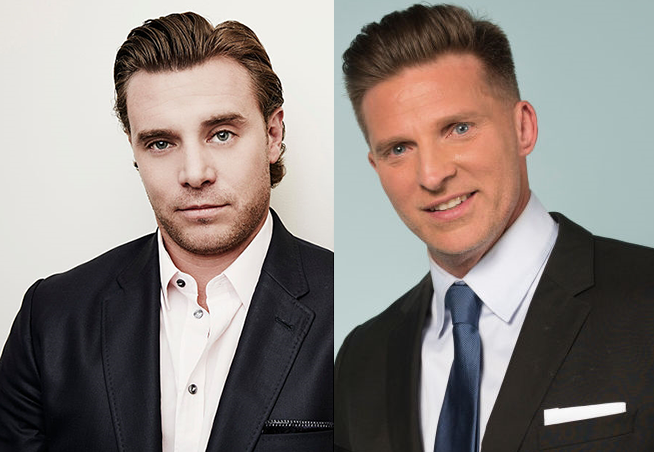 Two years after Emmy winner Steve Burton left General Hospital in 2012, former The Young and the Restless Emmy winner Billy Miller took over the role of Jason Morgan (first known as Jake Doe), whose appearance was altered by post-car crash facial surgeries. The iconic ABC soap opera announced in June that Burton would be returning, but would not confirm what role he would be playing. Valentini reveals that no fan's online guesses about the story have been correct so far. "They think we’re making it up as we go along, when it’s all been laid out," he says. "We're really excited to work with Steve, because he's a really important part of the show," Valentini adds. Burton has teased that he will be back on GH for "a while" — while Valentini says that the effects of the encore will be felt "for probably about nine months, before we settle into the next big thing."